Hello and WELCOME to the stories and images of our year in China! Come on in. Click HERE to enter! 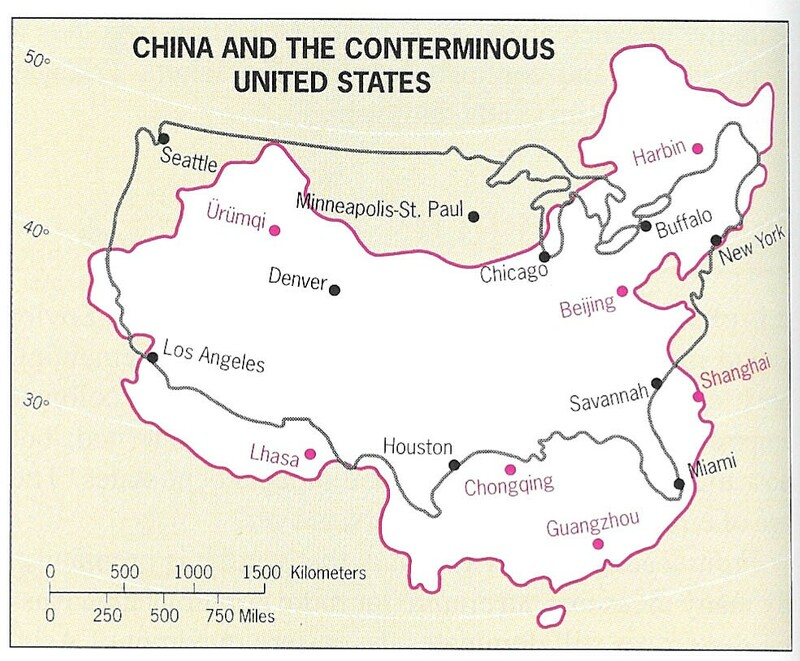 The image below shows both the US & China. They are almost the same size and at the same latitudes! However, the US has a population of about .3 Billion while China's is 1.3 Billion! �Copyright1994-2007 BruceBriscoe.com. All Rights Reserved. Contact us: Click here to send mail.